Although graphene's unsurpassed strength as a material was made clear back in the 20th century, the construction industry still relies on traditional techniques and products for the most part. Factories stand ready to launch wholesale production of graphene concrete and other building materials, but the market remains largely uninformed of their potential. If demand has yet to take off, perhaps it is because graphene still poses as many questions as answers. Researchers at NanoGraphene, Inc. finding themselves in the eye of Hurricane Irma, considered the question of how such enormous destruction could have been avoided. Graphene's ability to enhance and bestow new properties on various materials was something that has attracted scientists' attention well before the arrival of the 'Storm of the Century.' Its applications include anti-corrosion or electroconductive coatings, lubricants, motor oils that greatly increase efficiency and service life of components, and many more. However, graphene's effect on the strength and durability characteristics of materials has not received sufficient study. NanoGraphene researchers are now busy with the task of identifying the optimal composition of graphene concrete, a substance capable of withstanding hurricanes and other natural disasters. The results of their work are already in the testing stages and undergoing independent trials at a research institute. Initial testing has established that the inclusion of graphene oxide significantly increases both tensile and compressive strength in concrete composites. This is due in large part to the graphene additive creating favorable conditions for the formation of cement microstructures. These results indicate good prospects for large-scale adoption of graphene as a new component in cement-matrix composites. Manufacturers may soon be able to patent their own recipes for composite materials, such as graphene reinforced concrete. 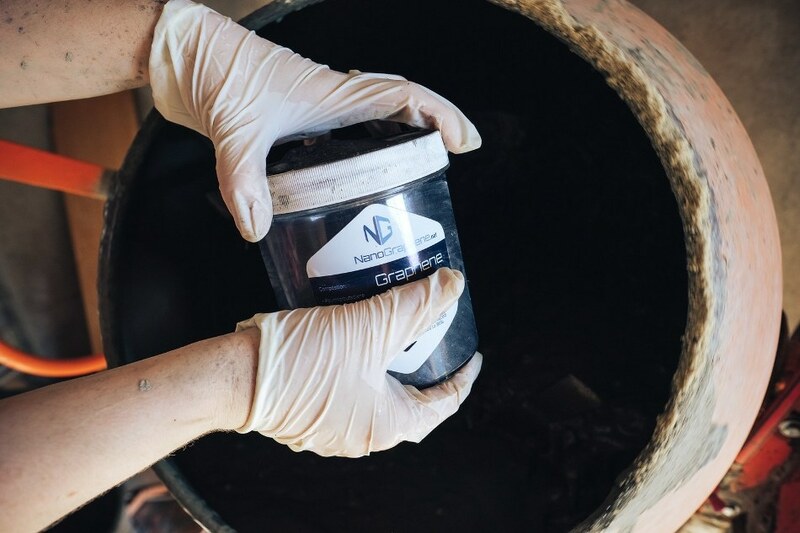 As designers and engineers are quite aware, adding a hundredth of a percentage point of graphene to the composition of cement has almost no effect on production cost, and requires no complex new machinery or training for employees. As reported by the media, the combined toll taken by hurricanes Harvey and Irma is approaching $290 billion, or 1.5% of U.S. GPD. Eye-catching figures, but as research into the properties of graphene gathers steam, the potential benefits of this wonder-material promise to be no less impressive. As the rebuilding in Florida gets underway, perhaps policymakers and developers will turn to graphene construction materials to ensure that the next storm will not find residents so vulnerable. In any case, the explosive growth of investment in nanotechnology is ample evidence that many industries will changed drastically in the coming decade. There is no guarantee that current market leaders in construction will stay on top. Along with nanotechnology comes the old rule: the early bird gets the worm.